Your blog categories are a vital part of your content marketing strategy. When someone visits your website and finds your list of blog categories displayed in the sidebar, they get an instant snapshot of the range of your expertise, and how you can help your clients. Your blog categories are a natural extension of your brand, revealing what’s important to you and what you stand for in your business. Blog category links also help guide your readers to the information that will help them the most. Planning your blog categories before you write helps you organize your writing and stay on track, so you can achieve the consistency that will attract long-term readers and grow those relationships into sales. By being strategic about your blog categories, you can more easily produce a balanced number of posts in each topic area. That way, visitors can see proof of your expertise no matter which category name they click. When considering your categories, identify the most pressing problems of your prospective clients. In the Four-Step Wellness Blogging Plan, I encourage you to consider topics that are broad enough to give you some variety and options, but specific enough that they’ll be relevant to your perfect clients. Ideally you want to find the intersection between your audience’s interests and your own. You or someone on your team needs to have the interest, knowledge and ideas to keep writing about each category. When choosing blog categories, think about the body of work you want to build over time. Is there a book in your future? Your blog categories could very well be your book’s chapters. An online course? Your categories might be lessons or segments of that course. White papers and presentations can also be created one blog post at a time. Aim to have 5-7 blog categories that you find interesting and manageable to write about, which also address the concerns of your ideal clients. Avoid jargon or industry-specific terms when naming your categories. Remember that your wellness blog visitors may have varying levels of knowledge and experience with your subject matter. If you use the same language your ideal clients are using, you’re more likely to show up in search engine results when they type in those terms. Categories and tags can both be helpful for organizing your content and displaying your knowledge base. What can get messy, though, is mixing them up. Be clear about the difference between categories and tags, and have a specific plan for how you will use each on your site. Use categories for broader topic areas and themes, such as you’d find in a book’s Table of Contents. Think of tags, on the other hand, like the index at the back of the book. Here you can get much more specific with single words and sub-ideas. You can also use tags to group together related posts, such as all posts in a series. Once you’ve settled on a list of category names, commit to publishing in each category regularly. When you’re feeling creative, outline a few ideas all at once so you’ll never have to start from scratch. Charlie Gilkey’s Blog Post Planner and Calendar are helpful for seeing your categories at a glance and making sure you’re achieving an ideal balance. Do you already have a category that’s very similar to this one? For example, Sleep versus Sleep Tips. Is this too specific to be a category, and would it be better as a tag? Will you have other posts to write about this topic in the future, and is it something you know is relevant for your readers? Watch that you’re not using your blog as a diary to explore your own interests. Are you using the same capitalization style as your other categories? I recommend title case for categories (capitalizing all major words, along with the first and last word) and lower case for tags. Above all, ensure every post is assigned a category. Describing a blog post as uncategorized makes your blog seem disorganized. Do any of your categories make you cringe because the topics or language are outdated, or because you haven’t posted anything new about the subject in a long time? Have you been adding more and more categories until they’ve become unwieldy, overwhelming, or even meaningless, both for you and your readers? 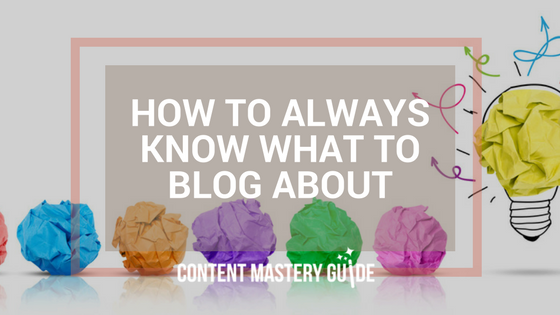 Do your category names accurately reflect the content on your blog? Will the words or phrases mean the same thing to your readers as they do to you? Are your categories tags in disguise? Have you been using categories and tags to serve the same purpose? Now decide which categories you want to keep, and which of those need more attention. Also decide if there are categories you want to retire, in which case you would re-assign those posts to other categories and remove the category name from your sidebar. In some cases you may want to change the name of an existing category. Be sure to research how your permanent links will be affected. Is the category name part of the permalink? If so, will links to older posts still work? Consider also whether you’ve ever linked to your category archive page from other posts or pages on your blog. Check with your website developer to avoid any problems with broken links. If you’re using the self-hosted version of WordPress, you can also try a plugin called Term Management Tools, recommended by WP Beginner. If you’re about to start or re-start a blog for your wellness business, download the free Four-Step Wellness Blogging Plan for help with goals, categories, topics, types of posts, time management, and creating an editorial calendar. P.S. An earlier version of this post appeared on May 5, 2015 and was lightly edited and refreshed to create this post.